CULVER CITY, Calif.—From 2008 to 2014 Professor Richard Falk served as United Nations special rapporteur on human rights in the occupied Palestinian territories. He dropped a bombshell on his audience when he declared that ending the Occupation, as so many human rights activists around the world seek to do, is simply not the answer, and not enough to address what he has seen and studied for many years. 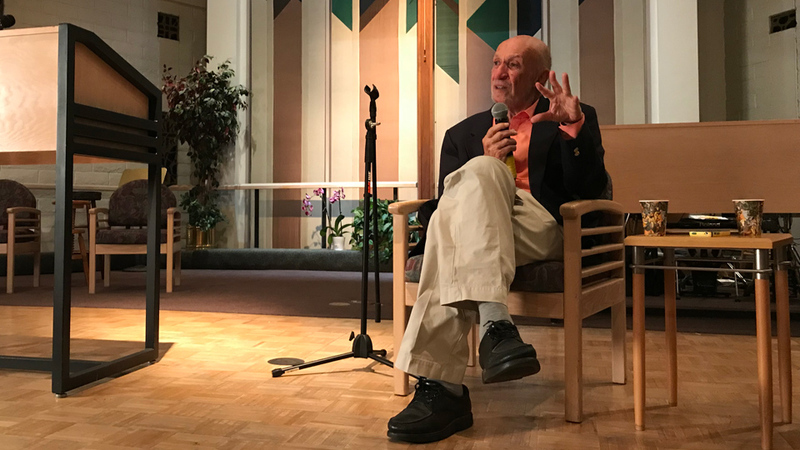 “Israel has made it clear that the end of Occupation would be the end of the conflict,” he told more than a hundred attentive listeners February 7th at this city’s Culver-Palms United Methodist Church. That would be “a way of finding some measure of normalcy,” he said, and ignoring the problems besetting the 20 percent Palestinian minority within Israel’s recognized borders, not to mention the several million Palestinians—the youngest of them now in the fifth generation since expulsion from Israel in 1948—still confined to refugee camps in the West Bank and in a number of neighboring countries, and also not to mention the uncertain fate of the Gazans if the end of Occupation dealt separately with that million-plus population. That larger issue, claims this academic, author of some twenty books, is the structure of oppression itself, including physical displacement and all the policies and practices Israel promotes toward the Palestinian people. 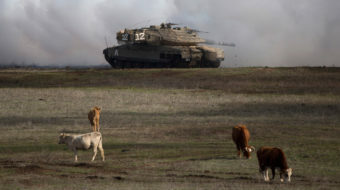 “The conflict is not purely territorial,” Falk says. The UN report that he co-authored with Virginia Tilley, professor of political science at Southern Illinois University, names that structure “apartheid,” meaning “separation” in Afrikaans. Richard Falk, 87, is professor emeritus of international law at Princeton University, where he taught for forty years. He is chairman of both the Nuclear Age Peace Foundation and the Euro-Mediterranean Human Rights Monitor and serves on the editorial board of The Nation magazine. 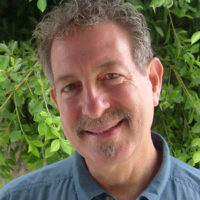 Although he retired from formal teaching in 2001, the following year he began a career as research professor at the Orfalea Center for Global and International Studies at the University of California, Santa Barbara. He currently directs a Global Climate Change, Human Security, and Democracy project. The professor’s talk was co-sponsored by a coalition of groups inclusive of Muslims, Christians and Jews: L.A. Jews for Peace and the United Methodists’ Holy Land Task Force, along with The Markaz, Friends of Sabeel of L.A. and Orange County, People for Palestine-Israel Justice, Southern California Workmen’s Circle/Arbeter Ring, the Orange County Cousins Club, Jewish Voices for Peace, and Interfaith Communities United for Justice and Peace (ICUJP). The Falk-Tilley report, “Israeli Practices towards the Palestinian People and the Question of Apartheid,” was released March 15, 2017, under the aegis of the UN Economic and Social Commission for Western Asia (ESCWA). Its release caused an immediate firestorm, raising accusations of anti-Semitism against the authors (Falk is Jewish incidentally), and providing space for more UN-bashing especially on the part of Israel and the United States. Although the ESCWA countries unanimously endorsed the report, and although the report was issued as representing the view of the authors alone and not the UN per se, it was removed from the UN website under threat of U.S. withdrawal of UN funding; however, it is otherwise available. Defenders of Israel are particularly sensitive about the word “apartheid,” citing factors that existed in South Africa but which do not exist in Israel, such as separate park benches and Arab representation in the Knesset. But as anyone who follows Israeli politics knows, leading figures in Israeli life, including prime ministers, writers and journalists from both the left and the right, have consistently used this word in Hebrew, addressing fellow Israelis, warning of the consequences of a failure to make peace leading to permanent apartheid. It’s when the word gets uttered in public forums in English that Israelis and their supporters hear the whole Zionist project being attacked. Jimmy Carter and John Kerry are only two American statesmen who have felt the brunt of Israel’s condemnation. 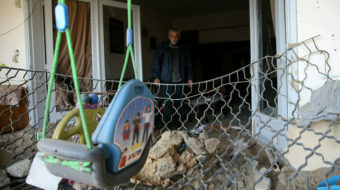 In many other ways Israel has flouted the international community, for example, by referring to the occupied West Bank territories as “Judea and Samaria,” ancient Biblical terms which international law does not recognize as legitimate; and insisting on calling the Palestinians “Arabs,” as if to say they belong in other homelands, not in the Jewish state. And although there are a few outstanding border questions in the world, there is no other state which doesn’t even claim its final and definitive borders: By creating more “facts on the ground” with each year’s growing settler encroachment on land that would have been the natural Palestinian state, Israel has been pushing steadily toward complete annexation of the West Bank, East Jerusalem and the Golan Heights. 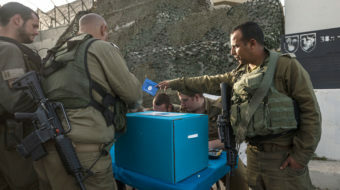 Israel has tried to politically separate Gaza from the larger Palestinian nation and for now seems to have abandoned that area for Jewish settlement. But at least one strand of thinking in Israel wishes to remove the Palestinians from Gaza one way or another, and free up that land for eventual incorporation into the Zionist state. The problem of Israel, according to Falk, is that the nationalism born in Europe in the 19th century made its way to the rest of the world by the mid-20th century and helped to create many newly independent countries in the wake of colonialism. But Israel, founded in 1948, came along at the end of the nationalist wave, and the global community had become skeptical of colonial projects in the underdeveloped world. “The Palestinian people have been made to pay the price for the crimes of the Nazis,” Falk says. There is an inherent tension, says Falk, between Israel’s self-definition as a Jewish state and its claim to be a democratic society. Especially as more and more Palestinians fall under direct or indirect Israeli control in the variously segmented entities between the Jordan River and the Mediterranean, the contradiction between these two professed ideals becomes ever sharper. In almost every case, Falk says, where an oppressed people, with inferior arms and weak social institutions, sets out to oppose their colonial or neocolonial masters, they eventually win. The Palestinians will continue to resist, “and they are right to resist,” he insists. From the Israeli point of view, the resistance is a challenge to the established order and must be put down. The United States, more substantively than anyone else in the world, gives Israel this unconditional mandate. Patrick Lawrence’s “A Conversation with Richard Falk,” touching on Palestinian rights, international law and world affairs, can be read here. Part 2 of that conversation is here. Richard Falk and Virginia Tilley wrote an “Open Letter to UN Ambassador Nikki Haley on Our Report on Apartheid in Israel,” which can be read here.